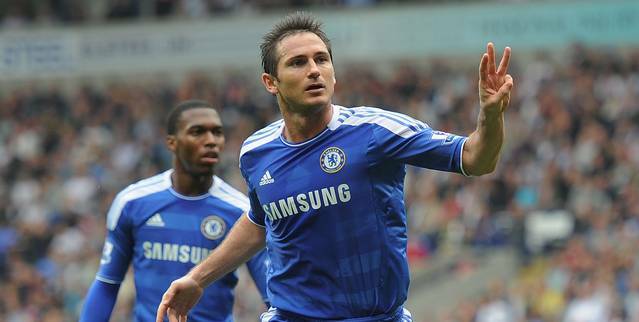 Chelsea's Frank Lampard was in clinical mood against Bolton, scoring three goals in a 5-1 win at the Reebok Stadium. In the season opener, Kaizer Chiefs and Mozambique Stars locked horns in what can only be described as one of the biggest grudge matches ever played at the Toronto City Sport Centre. The controversy began last week as the two teams were involved in the first trade of the season, which was followed by the astonishing Champsi incident. The match was also much hyped due to the return to the arena of a former Zanzibar FC legend Mohamed Alibhai. Alibhai known for his astute team selections has given up his goalie gloves and now makes a living playing in defence. The new Mozambique Stars goalkeeper Faraaz Fazel’s week got even worse as he missed the first 15 minutes of the game as he was still being processed after the theft of a $1.19 doughnut a few days earlier. The game itself did not live up to the hype with Kaizer Chiefs edging Mozambique Stars 1-0 with after a tidy finish from skipper Hassan Syed, who will be away for the next six-weeks on international duty.